How much his Youtube channel earn a month? And who is his wife Hila Hakmon? 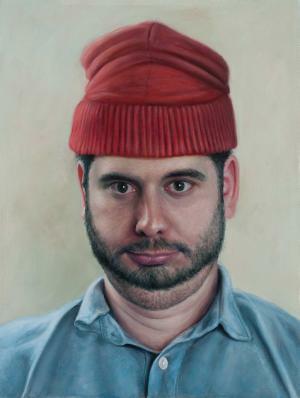 Ethan Klein was born on 24 June 1985, in Ventura, California USA, of part-Ashkenazi-Jewish descent, and is a YouTube personality, best known for his channel entitled h3h3Productions on which he uploads various reaction and prank videos. He’s been active in the industry since 2011, and all of his efforts have helped put his net worth to where it is today. How rich is Ethan Klein? As of early-2018, sources estimate a net worth that is over $1.3 million, mostly earned through a successful career on YouTube, including collaborating with other ‘YouTubers’, and he’s also worked as a part of a marketing department. He’s well-known through other social media websites too, and as he continues his career, it is expected that his wealth will also continue to increase. Klein has since collaborated with his wife to run a second channel called “Ethan and Hila”, which has also gained a significant following, now over two million subscribers, and which focuses on gaming content as well as vlogs, and they also do live streaming. The added projects have helped in raising Ethan’s net worth even further, and he also continues to post regular content on his main channel. He has also started a weekly podcast, which often features the subjects of their videos or celebrity guests. For his personal life, it is known that Ethan is married to Hila Hakmon, and they run a YouTube channel together. In 2015, they were put under controversy after a civil action lawsuit was filed against them for copyright infringement by Matthew Hosseinzadeh, but the pair ultimately won the court case, supported by funds raised by other YouTubers, the excess of which went into a common fund for use in any similar cases. Ethan also remains active on other social media sites, particularly on Twitter on which he has over 1.8 million followers, with anothe over 1.6 million on Instagram too, on which he posts his recent projects as well as daily endeavors.